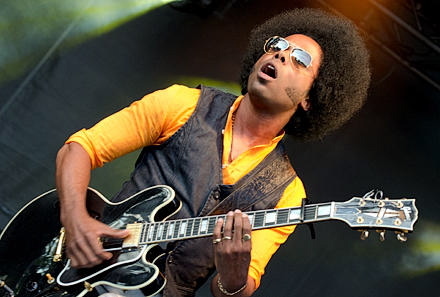 OTTAWA — Alex Cuba’s father told him he couldn’t be a singer. This most unlikely of Canadian music stars not only proved him wrong, he’s become a globally celebrated artist in the past two years — even though you’re not likely to hear his songs on 102.7 the Edge or other well-known radio stations in Toronto. Cuba sings in Spanish and while you’ll find all kinds of popular songs out there that seem to turn the English language into something alien, getting a radio director to take a chance on a single with foreign lyrics is as tough as getting U.S. politicians to agree on fiscal reform. So despite winning two Junos, a Latin Grammy for Best New Artist in 2010 and earning a Grammy nomination this year, Cuba remains one of the most anonymous music stars in Canada. Not that he’s complaining. The native of the Havana suburb of Artemisa insists he would still be playing bass in and around Cuba’s capital if he didn’t decide to emigrate 12 years ago. 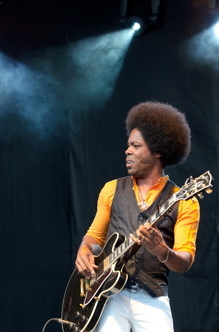 He and his wife, a Canadian, relocated to British Columbia in 1999, a move Cuba called liberating when I spoke to him in his trailer prior to his recent performance at the 2011 Ottawa Bluesfest. Cuba didn’t just come to Canada and play traditional music from his homeland. What’s earned him acclaim and what makes his music something you should give a listen to is his songwriting ability. His music has pop and rock melodies that appeal to Western ears, which helps break down the language barrier of his lyrics. It’s a dynamic that Cuba intended. Cuba, who was born in 1974, says anglophones are getting it. “The most incredible thing has happened to me. I’ve heard people come up to me and say my music makes them cry or makes them so happy, and they don’t even speak Spanish,” he said, grinning. Watching his show, you notice how many in the crowd know his songs. They sing-a-long, filling the air in mellifluous Spanish. A fine guitar player, too, Cuba keeps you riveted with riffs that ping off his strings like classical chords and facial expressions that reveal his passion for his music. He’s backed by drummer Max Senitt and bassist David Marion, who are as energetic as the frontman. While more and more Canadians are taking to his songs, Cuba has long been a fan of Canada. Recognizable by his trademark afro, Cuba is proudly Canadian. He says the decision to come to Canada was pivotal to his growth as a musician.